Zombies, Cannibals, and Blood Lust Bambie? Abi Daniel is Out There. Waaaay Out There. 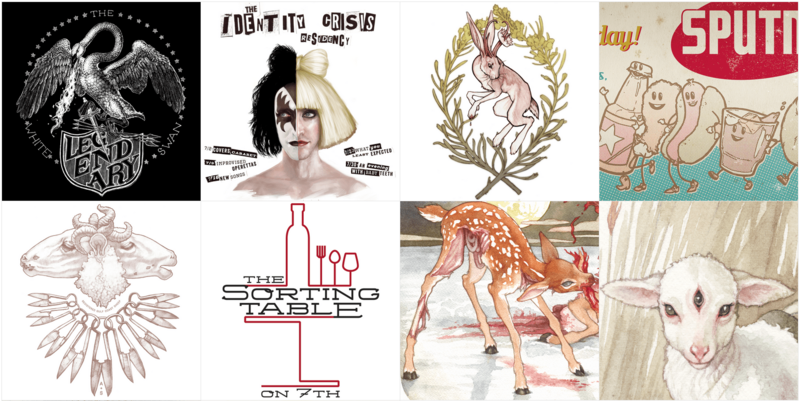 Whether mixing inks at Bearded Lady print shop or crafting logos at Hoarsefly Design & Illustration, Abi Daniel is constantly refining and reimagining her creative output. You’d never know that illustrator/designer Abi Daniel started her career drawing zombies, wookies, and spaceships, as a concept artist at Sony Online Entertainment, as much of her work now has a broader, more ephemeral appeal. After leaving Sony to find her own creative voice, she discovered that she really loved printmaking and etching. She eventually met and married designer Josh Chalmers in Austin, Texas, who runs Bearded Lady, a screen printing shop. She now helps him run the print shop and does client work under her moniker, Hoarsefly. Read the rest here.